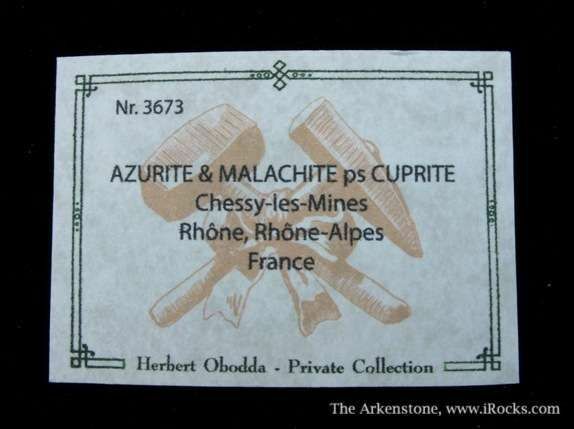 Unusual association! 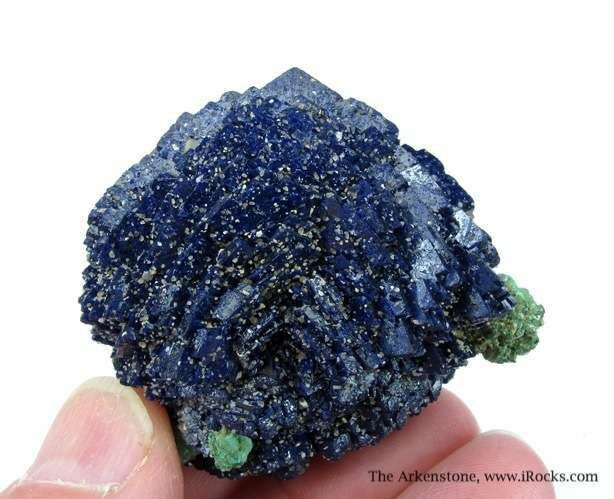 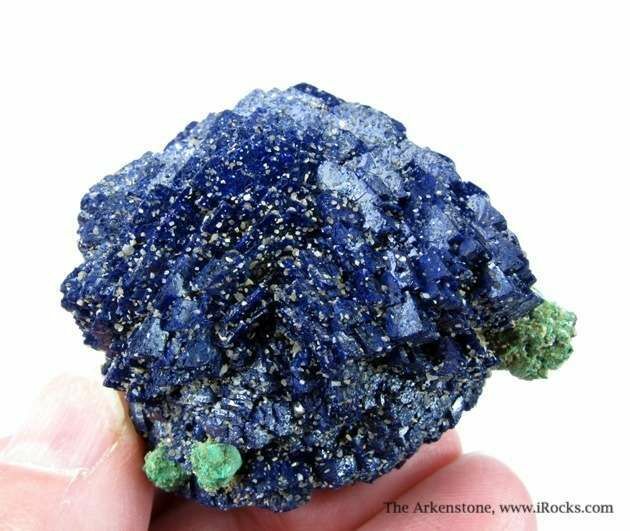 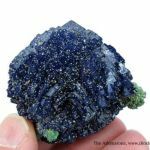 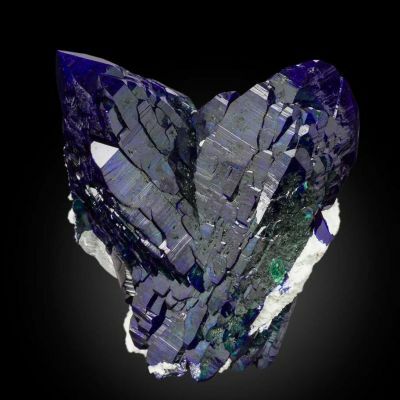 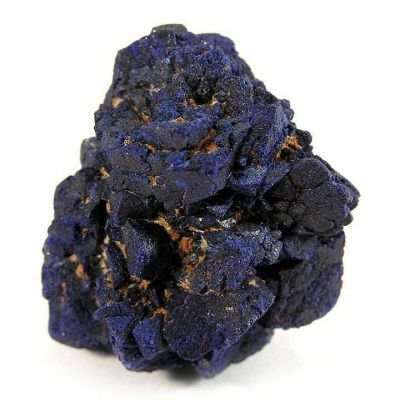 A showy, old-time and classic, bladed Azurite "ball" (almost a rosette) from the famous mines at Chessy, France. 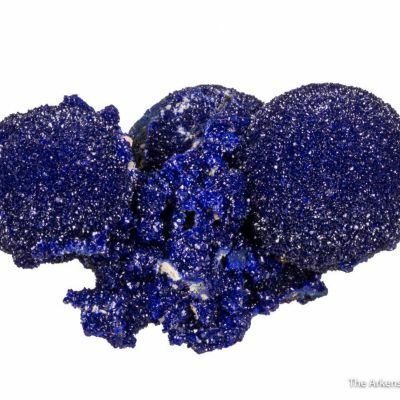 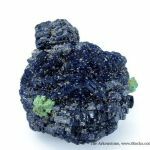 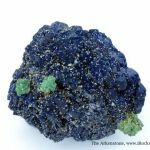 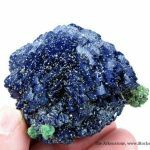 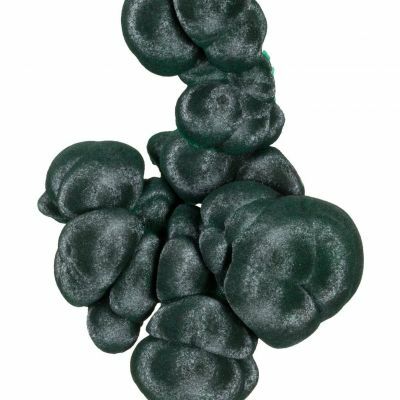 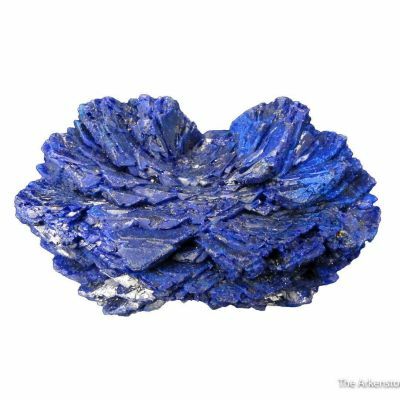 This excellent specimen is a pristine floater composed of vivid, deep-blue Azurites that have very good luster. 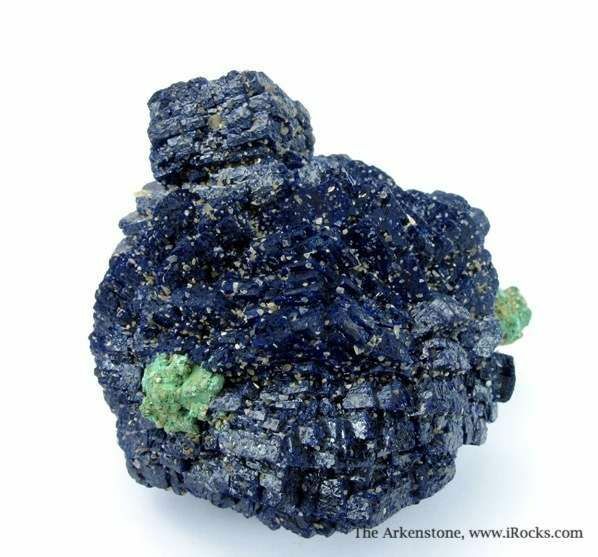 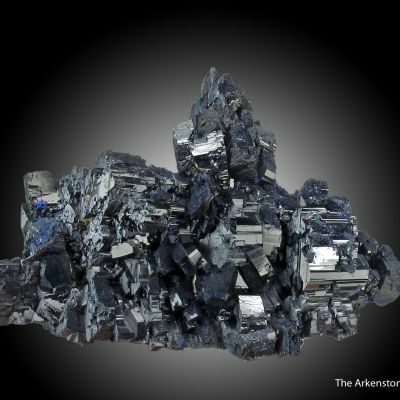 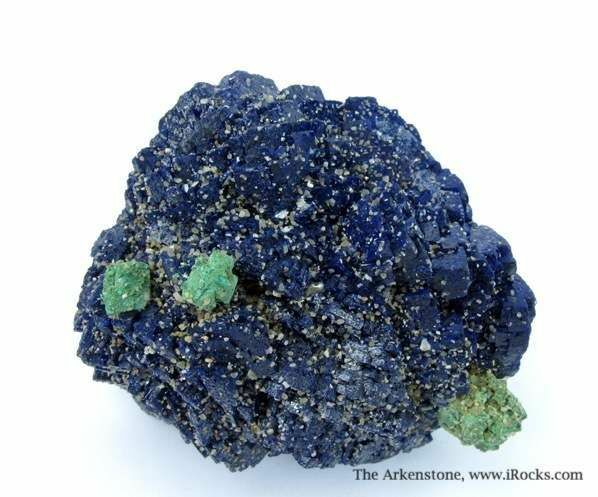 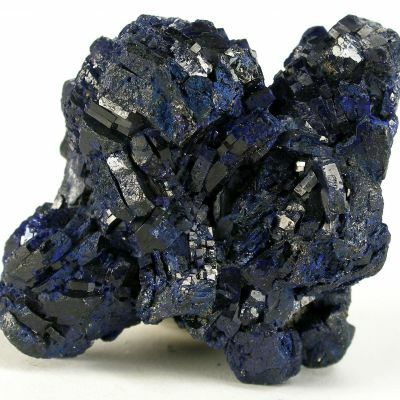 The largest of the distinct Azurites is 1.3 cm on edge. 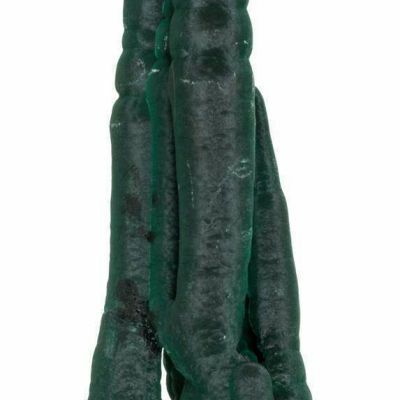 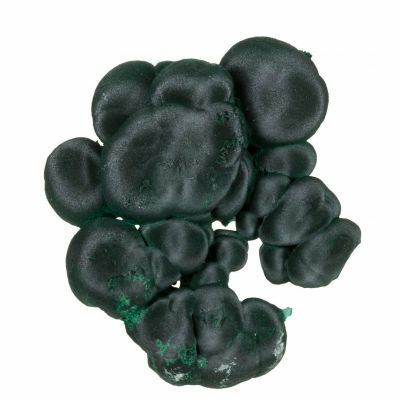 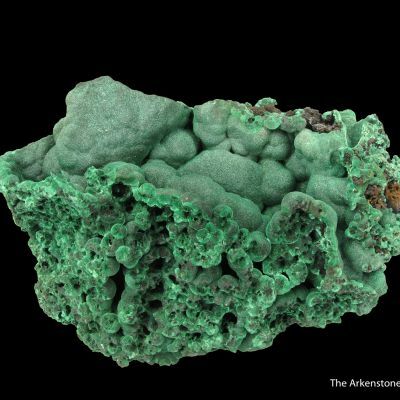 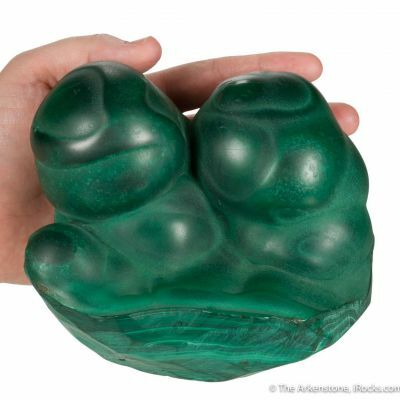 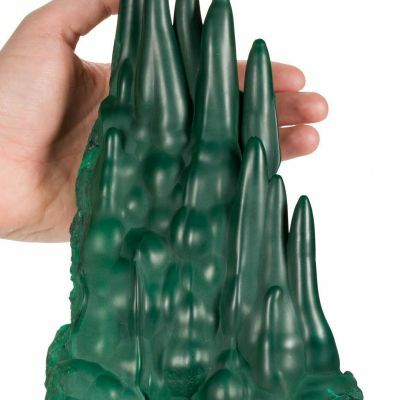 Adding greatly to the importance of the piece are four Malachites ps. 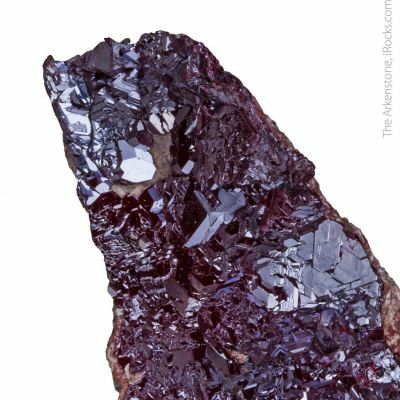 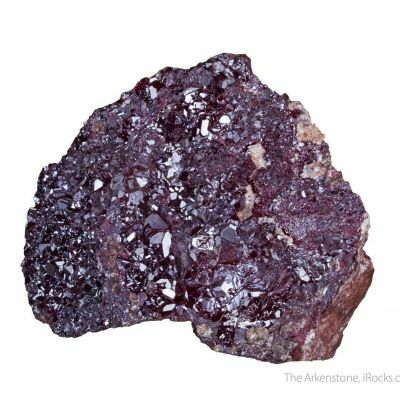 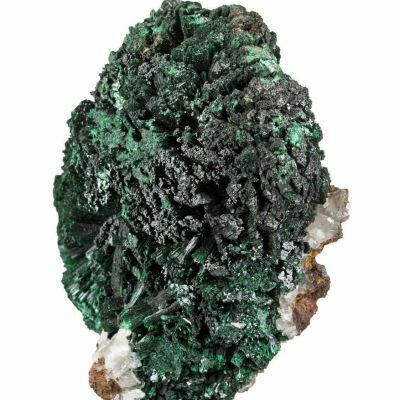 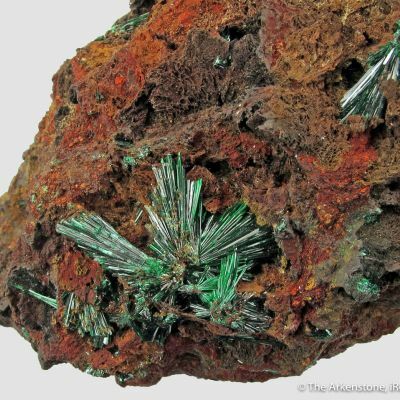 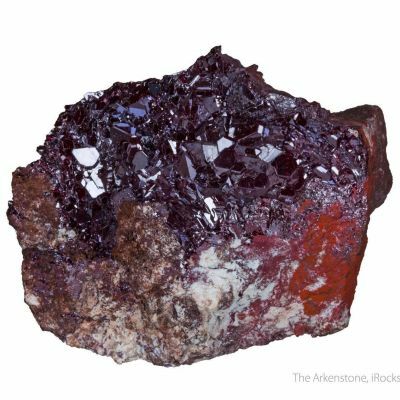 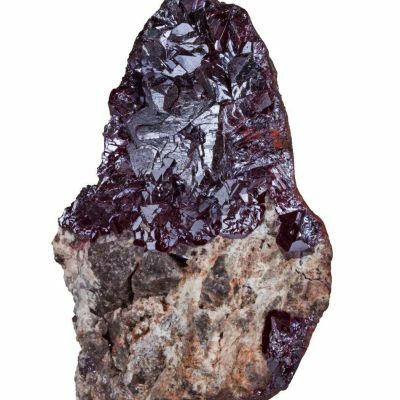 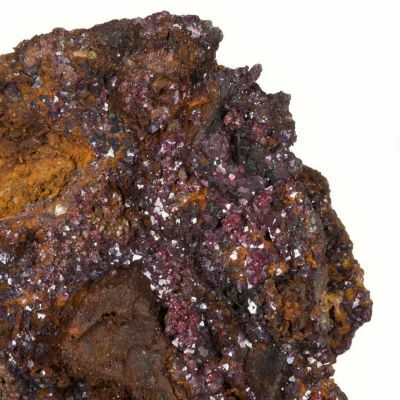 Cuprite, the largest of which is .8 cm. 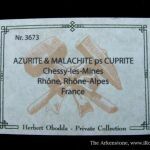 The ancient Chessy mines were closed by the end of the 19th century and this is a fine example of a classic form and species.